Ubuntu is definitely a big force in the world of Linux. It’s simplistic, customizable and most of all has a huge community behind it. 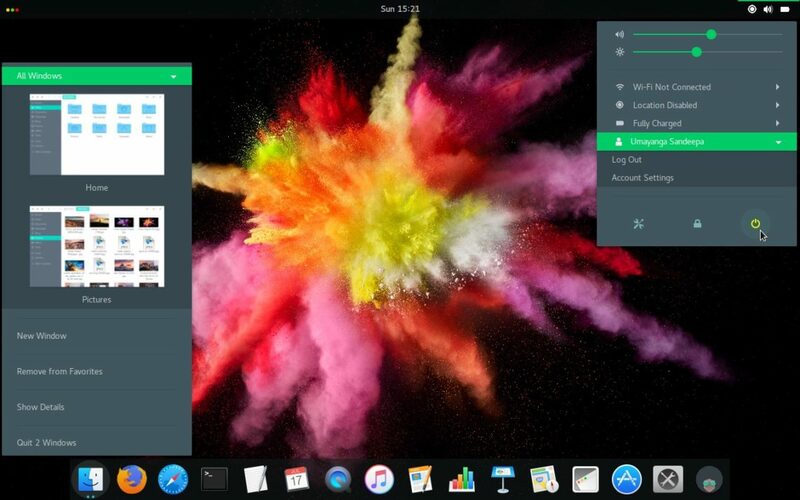 Since Ubuntu switched from Unity to GNOME, the scope of customization truly flourished. GNOME comes up with a larger tweaking community. 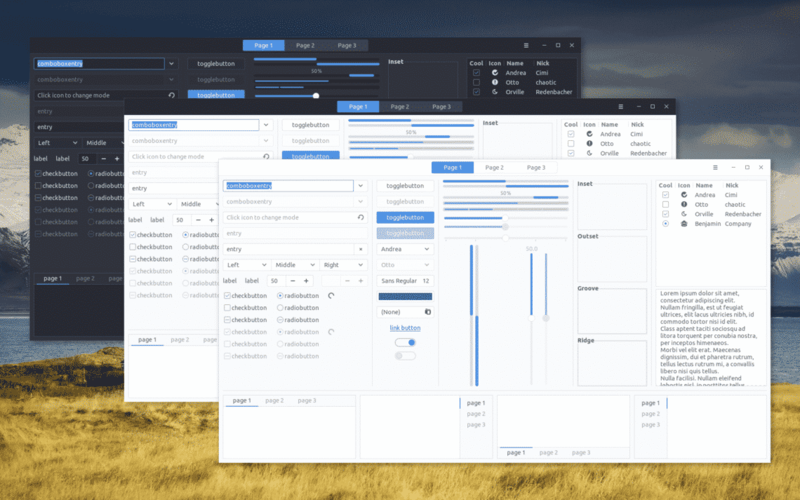 Moreover, there are tons of GTK themes already out there. You can simply grab and install any of them into the system. 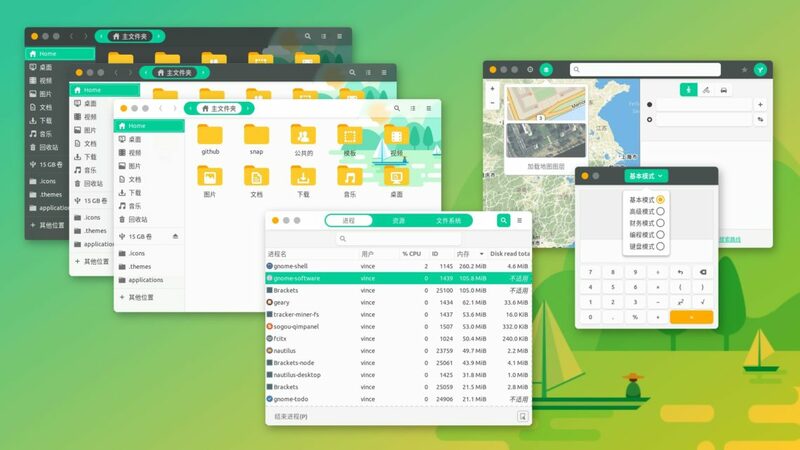 With a plethora of available options, you’re sure to get lost in the wild collection of these GTK themes. I hope this list will help you out for grabbing the best GTK themes for Ubuntu. Note: The themes in the list comes up with the largest user-base and the most popular ones. That’s why they’re here. There are definitely more out there that might suit your need. Feel free to try out new ones. You may find just the right one for you! 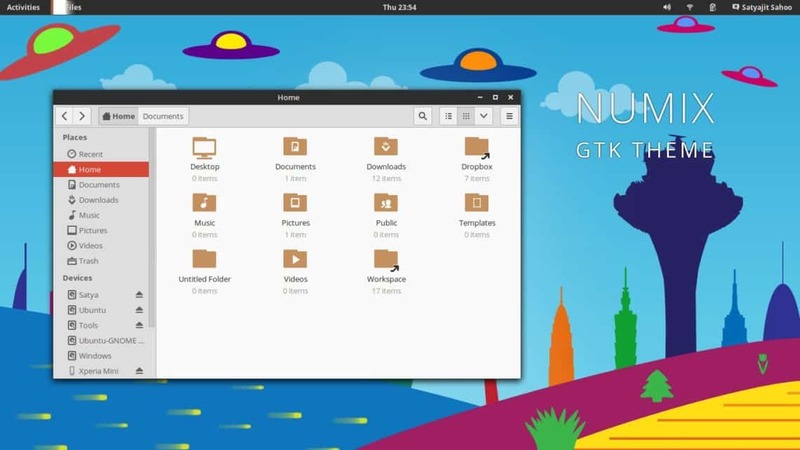 Here’re all the GTK themes that work perfectly with Ubuntu. If you’re using any Ubuntu-based distros, don’t worry. They should work just fine. Note: Some of the themes might not work with elementary OS. The ecosystem of elementary OS is different than classic Ubuntu and Ubuntu-derivatives, so no need to panic if a theme doesn’t work out. Arc is definitely one of the most popular themes out there. It’s been around for quite some time and the community really took off with it. It’s simple and flat yet modern-looking. When you install Arc, it completely changes how you feel about the entire system! Arc comes in 3 variants: Light, Dark and Darker. Arc also has its own icon theme. The best part is, when you install Arc, you install all 3 of them at once! Of course, you’re free to choose which one to keep and which one to leave. This theme is compatible with almost all the Ubuntu versions, even with the older ones! 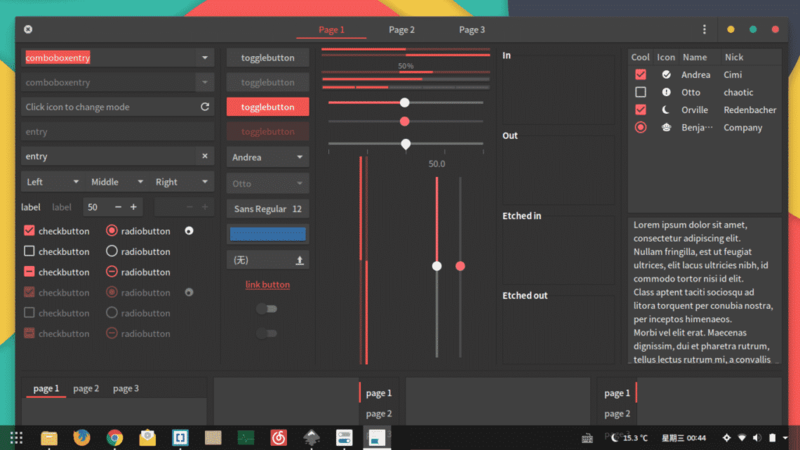 Get Arc GTK theme right now! Just like Arc, Adapta was adopted by a big number of Linux users. It’s based on the well-known Material design from Google. It’s a great theme with support for a wide range of desktop environments. However, it doesn’t support Pantheon (elementary OS) and Unity7. If you’re a fan of the Material theme, then Adapta is guaranteed to satisfy you. The theme is available on GitHub. Get Adapta now! In terms of charm and coloring, Numix is really hard to beat. Numix features a unique combination of grey and pinkish-red highlight color that’s both soothing for your eyes while remaining attractive. You’ll be amazed to see how polished Numix is. It’s arguably the most polished theme out there. 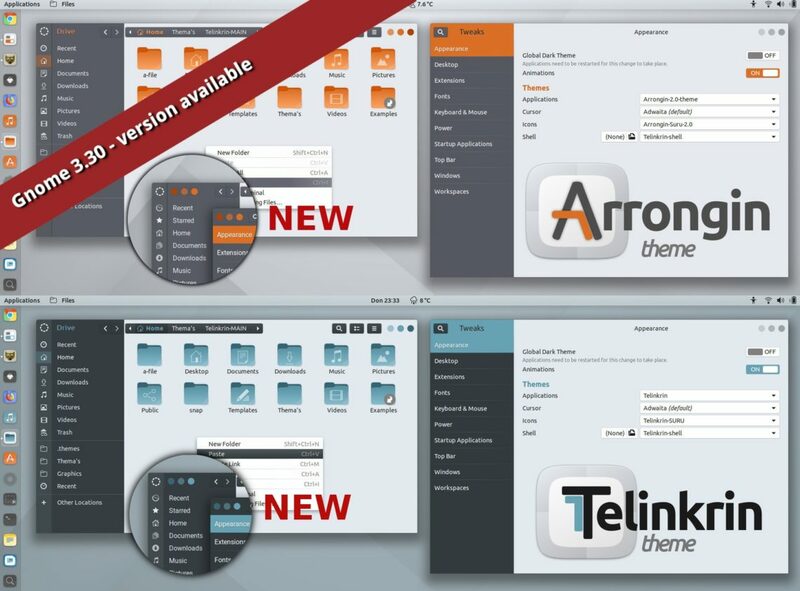 Arrogin and Telenkrin both are relatively new in the world of GTK themes. However, they’re making a big move in the theming world. The key difference between these 2 themes is coloring. While Arrogin follows the classic Ubuntu style, Telinkrin features a bit more KDE-ish vibe. Get Arrogin and Telenkrin from GitHub. Another favorite GTK theme of mine. It’s been out there for some time. It’s a cool-looking flat theme that takes inspiration from the Material design. Probably the best part of Hooli is the unique mixture of the green-ish part while not overpowering the entire theme. Hooli also comes up with its own icon theme. Hooli icon theme includes hundreds of icons for popular applications. Hooli is available on GNOME Look. This theme completely stands out than the rest. It’s compatible with almost all the desktop environments using GTK as the theming engine. Just like Arrogin, Canta also takes inspiration from both Material design and flat themes. With Canta, you can easily change the mood. Just like Arc, there are 3 different flavors: light, dark and default. Moreover, each of them is divided into 2 sub-categories: normal and compact. If you like Arc and “dark” themes, then Qogir is definitely going to be one of your favorites. Inspired by Arc, Qogir brings more consistency on top of Arc. You’ll also find similarities between the transparent elements. Just like Arc, Qogir also comes in 3 different flavors: standard, light, and dark. Getting Qogir is pretty easy. Get Qogir from GitHub. Next is Matcha. 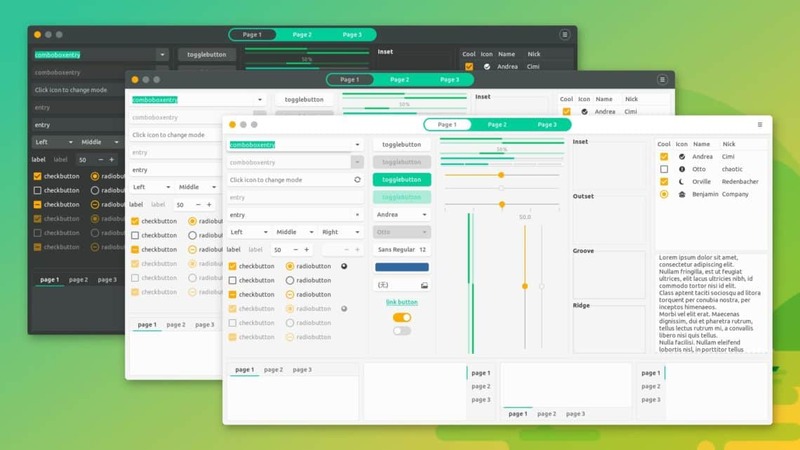 Matcha is a flat theme that’s compatible with GTK 2, GTK 3 and desktop environments supporting them (GNOME, Xfce, MATE, Unity, and Budgie, etc.). 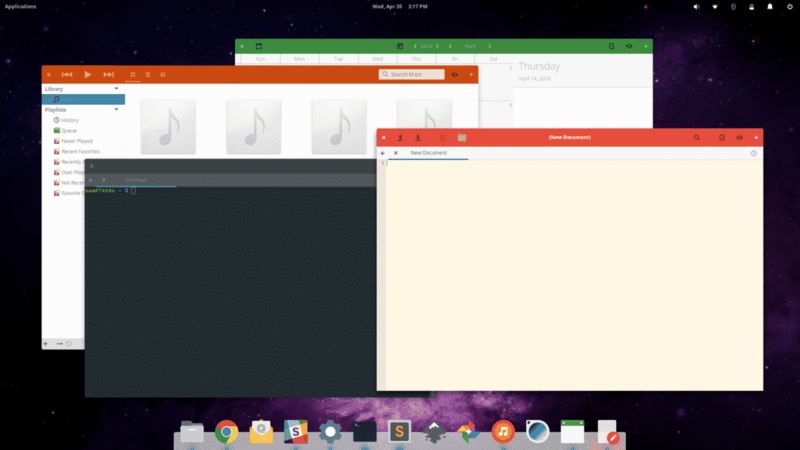 In addition, it also supports the Pantheon desktop from elementary OS! 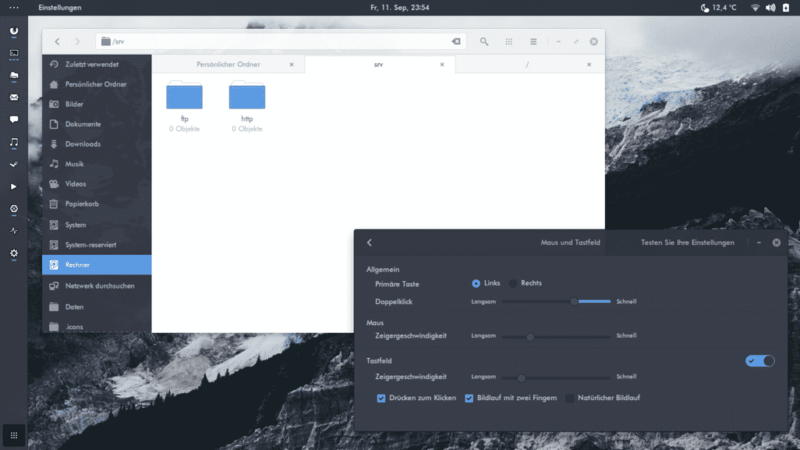 It’s another Arc-based GTK theme. However, make no mistake; with additional coloring and refactoring, Matcha takes Arc on a whole new level. Unlike Arc, there are combos of green, dark grey and purple-red splashes everywhere. Matcha is available on GitHub. 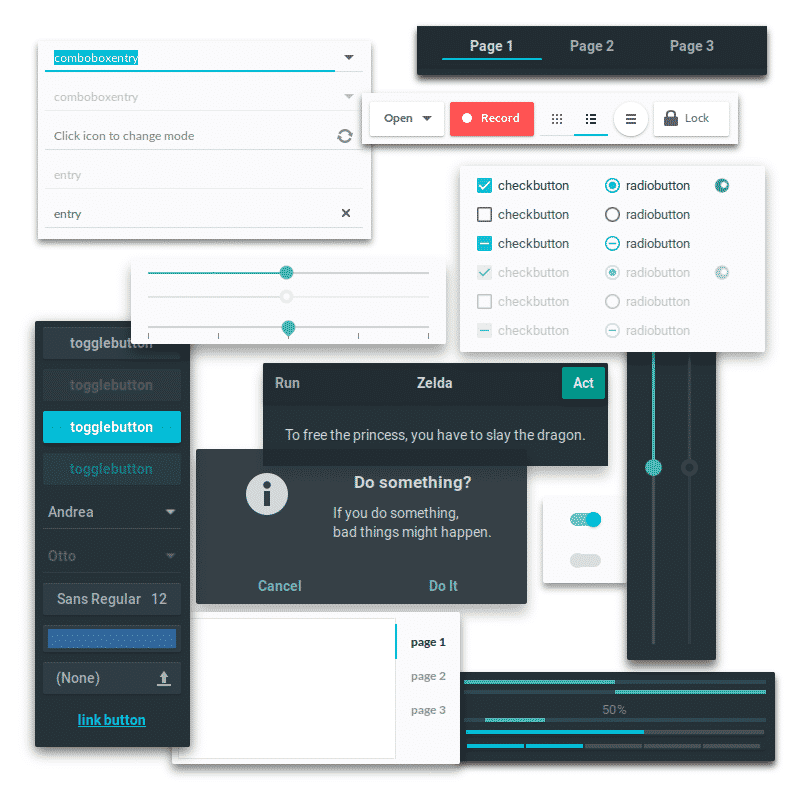 Paper is another Material-based theme. Personally, I like Material themes for their gorgeous look. Paper features flat color filling and sometimes, that’s something that helps me to enjoy the refreshed environment while focusing on my tasks. Paper also has its icon theme with nearly 50+ icons. For a better supplement, you should also grab the Paper cursor theme. 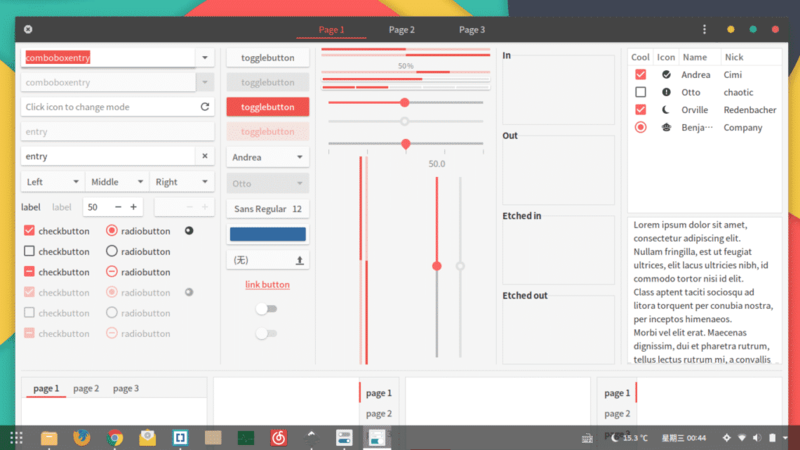 The desktop theme of Paper is available at GitHub. For the icon and cursor theme, go to SNWH.org. From the name, you already know what to expect, right? 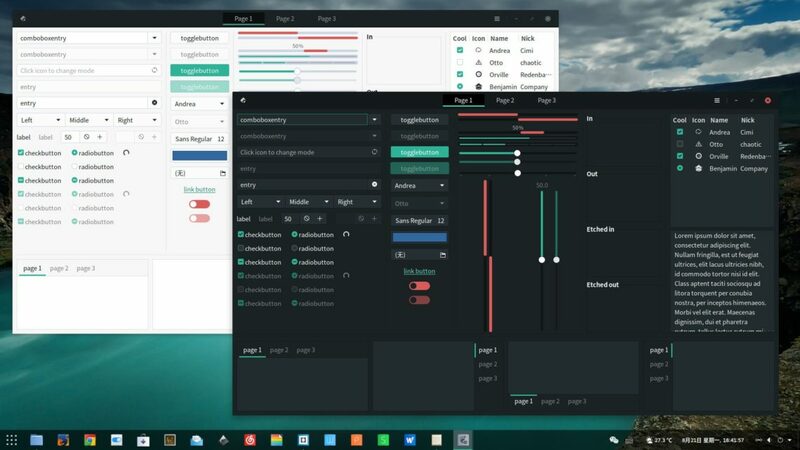 Stylish is a flat, Material design theme supporting GTK-supported desktop environments like GNOME, Unity, Pantheon (cheers, elementary users! ), Mate, Xfce, and others. It’s based on materia-theme by nana-4. Over materia, Stylish stylizes with a different combo of colors. There are 4 total color variants available: standard, azul, tang and jade. Yet another Material design GTK theme. The juicy interface features Adapta-like interfaces. However, the color combination is different. There are 2 major flavors of Vimix: dark and light. Each flavor also has 2 variants: ruby and beryl. 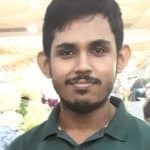 Vimix is available from GitHub. 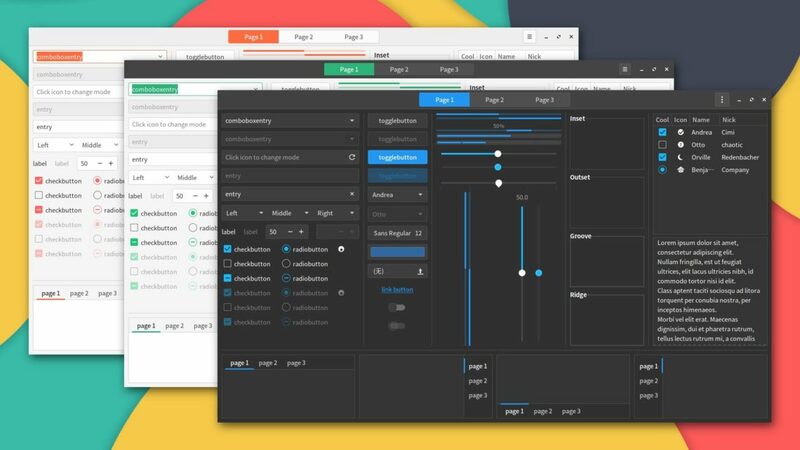 Despite all these are GTK themes, each of them offers a unique user experience. The themes listed above are highly appreciated by the community. However, there are millions of other GTK themes out there. Feel free to find out your favorite one. Theming will definitely revitalize your Linux experience. Give them a try!